The pointer date is one of Oris’ most recognisable complications. Making its debut in 1938, it wasn’t until it was reintroduced in 1984 that it became a regular part of the catalogue. 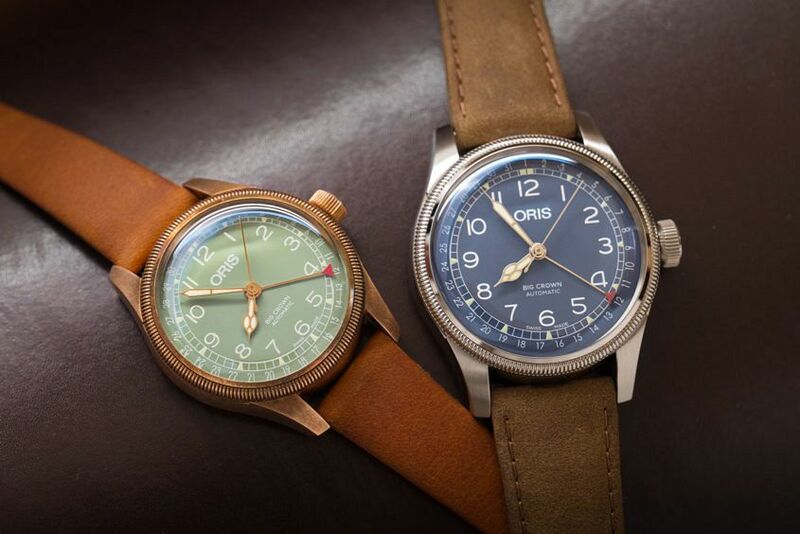 Paired with another of Oris’ signature designs, the heritage-inspired Big Crown pilot’s watch, Baselworld 2018 sees a couple of fresh-faced dials, as well as a 36mm version cased in two very different metals, added to the family. What we have are two versions of the same design, one with a 40mm case, and the other with a 36mm case. Both are water resistant to 50m and have a screw-down crown. And both use the historic pointer date complication – with a red crescent moon-tipped central hand – to indicate the date on the outside of the dial. The main differences, other than their size, lie in the choice of colourways and case material. The 36mm version introduces an idyllic light green dial and pairs it with either a stainless steel or patina-friendly bronze case. While the 40mm sticks to a stainless steel-only construction and introduces a brand-new light blue dial to the equation. 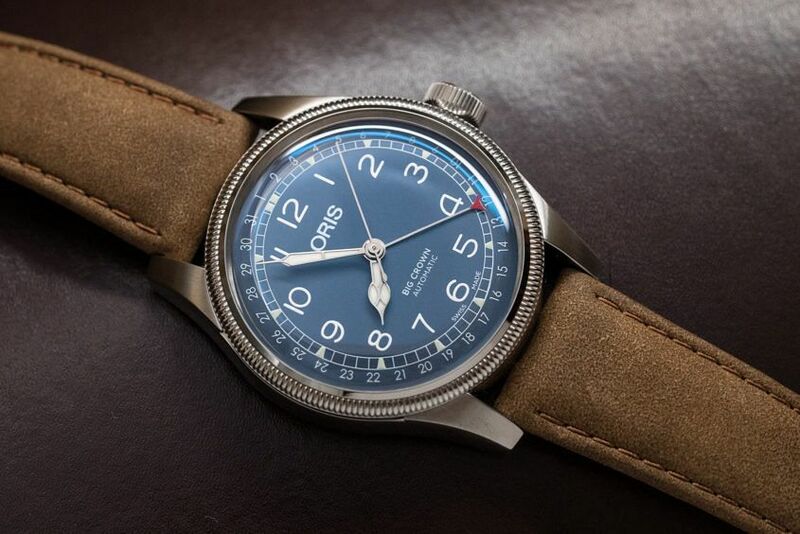 Of course, both still feature the familiar big crown and coin-edged bezel, which, along with cathedral hands, evoke that historic aviator watch style. And two printed lines of text now remind you of the collection to which it belongs, and the automatic movement beating away inside. With an uncluttered design that lends itself to just about any situation, I’ve long been a fan of the Oris Big Crown Pointer Date. The introduction of a downsized case and novel material, as well as new dial colours, now takes it one step further. My only hope is that we see a bronze version in 40mm soon.